A succinct Scotland Driving Tour – Our Simply Scotland itinerary offers you a great introduction to this enchanting nation. In the course of just a few days you’ll experience the rugged landscapes of Glencoe, and the Scottish Highlands and the magical capital city of Edinburgh. 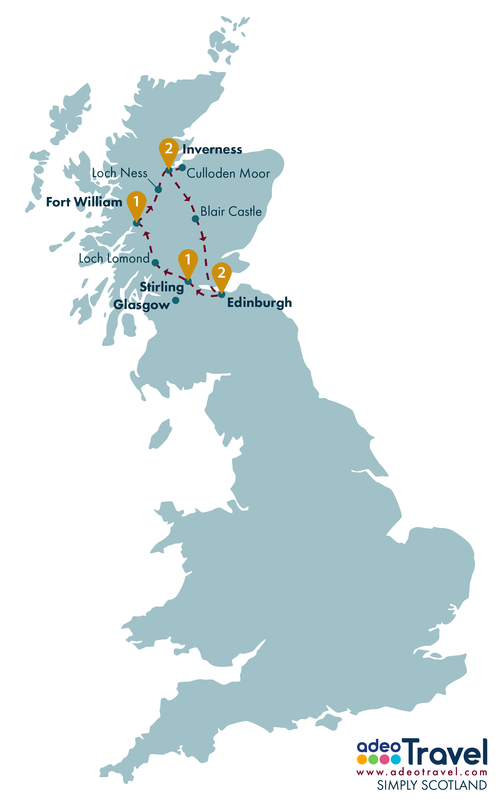 Highlights along the way include historic Stirling, Loch Lomond, the West coast and Scotland’s most famous body of water – Loch Ness. Landing in Glasgow or Edinburgh collect your vehicle and travel north towards the nearby town of Stirling. On route enjoy possible stops at Falkirk home of engineering masterpiece the Falkirk Wheel or the magnificent sculpture of the Kelpies. Arriving in historic Stirling you can visit the towering Wallace Monument erected in dedication to the Great Scottish Hero Braveheart William Wallace or see the infamous battlefield at Bannockburn. Then to explore the cobbled town itself, climb to Stirling Castle which rivals that of Edinburgh for its historic significance and beauty. Today get your first flavour of Scotland’s raw natural beauty, passing firstly through the Trossachs National Park and along the “bonny banks” of Loch Lomond where you can take a cruise on the peaceful waters. Your journey then takes you over the desolate and awe-inspiring Rannoch Moor before arriving in Glencoe valley offering a potential stop at the Glencoe visitor centre which marks the place of the infamous clan battle. 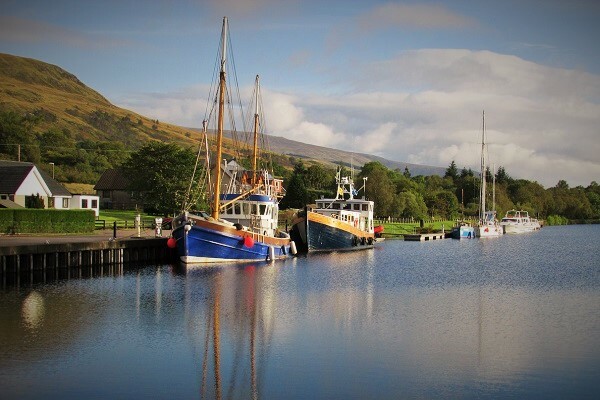 A short journey North you’ll find the port town of Fort William where you can pass in the shadow of Ben Nevis (Britain’s highest peak) or visit the Ben Nevis whisky distillery. Continue in to the untamed highlands; you can journey part of the "Road to the Isles" stopping to see the Glenfinnan Monument dedicated to Bonnie Prince Charlie and the magnificent Glenfinnan viaduct, made famous in the Harry Potter movies and the Hogwarts Express. Then double back to the main road to pass through the great glen and along the banks of the eerie Loch Ness as you try to spot Nessie. 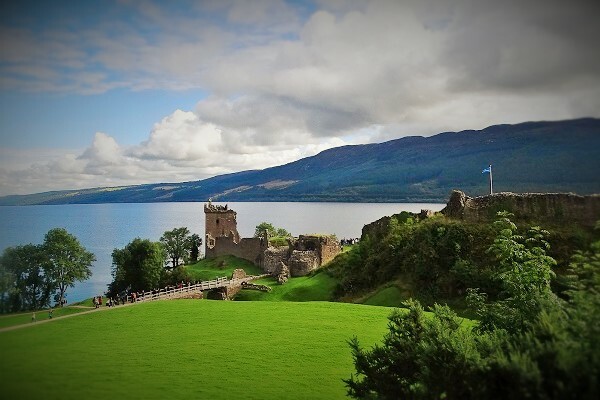 Visit Scottish icon Urquhart Castle on the shores of the Loch before arriving in Inverness, the capital of the highlands, and exploring the Castle and Museum. Dedicate today to exploring the outlying Highlands surrounding Inverness; here you will find the eerie Culloden Moor Visitor Centre, site of the ancient battlefield where the Jacobites rose against the English. Also nearby are the intriguing standing stones of the Clava Cairns which inspired the Outlander series. 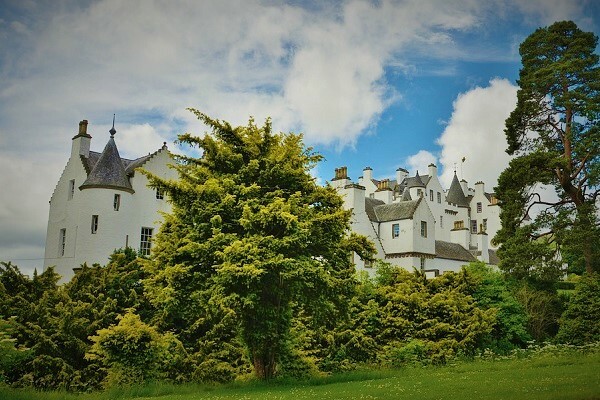 Cultural sites you can visit include the contrasting castles of Cawdor Castle and Fort George; the former is a turreted, fairy-tale mansion romantically connected to Shakespeare's Macbeth whilst the latters demonstrates 18th century military engineering at its best. Today pass south in to the heart of Scotland and through the hills and woodland of the Cairngorm National Park, a haven for walkers and wildlife lovers. You may choose to ride on the Cairngorm Mountain railway, visit the Speyside Heather Centre or tour one of the many Whisky distilleries in the area to discover the secrets of Scotland’s “water of life”. At the charming Victorian town of Pitlochry you can visit the magnificent Blair Castle before making your way back to Edinburgh, the magnificent Scottish Capital. Return your vehicle at the airport before proceeding in to the city. The final day of your trip can be spent discovering the magnificent city of Edinburgh, best explored on foot and public transport. From the winding streets of the cobbled old town to the wide avenues of the opulent Georgian Edinburgh holds a unique atmosphere. Visit Royal sites such as the Palace of Holyrood House or the Royal Yacht Britannia in Leith Docks or view the modern Scottish Parliament building. 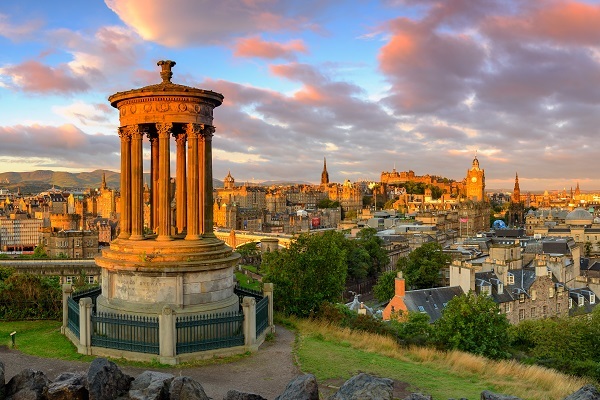 The highlight of your day will be climbing the Royal Mile to the city's centrepiece at the magnificent Edinburgh Castle, home to the Scottish Crown Jewels, the Stone of Destiny and St Margaret's Chapel. Enjoy a final breakfast in your hotel before checking out. You may have a chance for some last-minute souvenir shopping or sightseeing (luggage can be stored at your hotel) before making your way back to Edinburgh or Glasgow Airports to check-in for your return flight to your home nation. *Journey times and distances are estimates and are based on the direct route between the start location and end location for each day of the itinerary, where applicable. They do not include detours or stops for sightseeing. 6 nights accommodation (suggested accommodations listed below). 5 days car rental (outside of Edinburgh) inclusive of all mandatory taxes, insurances and charges. 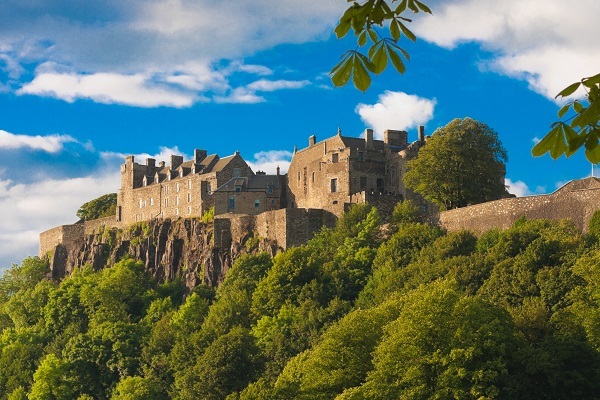 Scottish Heritage Passes x 2 offering admission to historic sites across Scotland including Stirling Castle, Urquhart Castle and Edinburgh Castle which can be visited on your itinerary. adeo Travel suggested driving itinerary and travel documents pack. As our self-drive tours are fully customizable we can tailor the suggested accommodations for your particular quotation based on your preferences, budget etc. Read more about the accommodation we offer by clicking here. Enjoy a City Sightseeing open-top bus tour of Edinburgh. Enjoy a Scottish evening including food and traditional entertainment in Edinburgh. Add pre/post tour accommodation in Glasgow or Edinburgh before or after your trip. Add rail travel to/from Scotland before or after your tour. Add a ferry crossing and two nights on the Isle of Skye to explore this beautiful island. Have your very own private driver-guide chauffeur your tour. Combine this tour with one of our other Britain self-drive tours. Stay in quaint family run B&Bs in the Highlands. Enjoy an upgrade to a luxury castle or manor hotel on one or more nights of your stay. This self-guided tour is customizable and can be taken at any time throughout the year and starting and ending on any day of the week - simply let us know your preferred dates of travel! From GBP £635 per person (based on two people travelling). Representative pricing above based on travel in shoulder season (May/September) with two people sharing a twin/double room, staying in sample accommodations as listed and sharing a compact automatic vehicle. For a direct quote for your preferred dates of travel please contact us. Above pricing is an estimated "from" price based on mid-season travel (May/September). As this tour can be taken at any time pricing will vary dependent on departure day, date of travel, selected accommodations etc. Above pricing is based on suggested accommodations listed however please note that we can tailor your specific quote to accommodate your budget and preferences. Prices are per person based on two people sharing a twin/double room and one vehicle. Prices are for land only travel and do not include flights. Prices are in GBP£ Sterling currency, for approximate amounts in other currencies please contact us.